AvatarSpirit.Net > The World of Avatar > The Legend of Korra > TLOK Spoilers (Moderator: Spiritwhisperer) > LEAKS! Read this now!! Posting links to unauthorized leaks is NOT ALLOWED. That includes videos AND images. We will be removing any links that have been posted so far, and any links that get posted from now on will earn the person who posts the links a seven-day ban. You can still talk about the spoilers in those leaks, discuss them in as much detail as you want (in the TLOK Spoilers board), but absolutely no links to the leaks are allowed to be posted in any threads or any signatures. Do not attempt to ask how/where to get links to the illegal leaks in any shape or form. That includes "I wish someone would PM me" or "SOMEONE PM ME NOW!!!" If you have links to the leaks, please keep it to yourself and do not post "PM me for the leaks!" Any attempt to do so will warrant a 3 day ban. So yeah, stop posting pictures or links of leaks on the forums. Real leaks, fake leaks, whatever -- no pictures and no links! 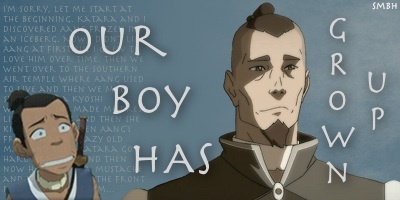 If you want to talk about what's in those leaks, do so in the TLOK Spoilers board. This way we can keep the main Legend of Korra board spoiler-free.